You wanna eat the sammich, do ya? 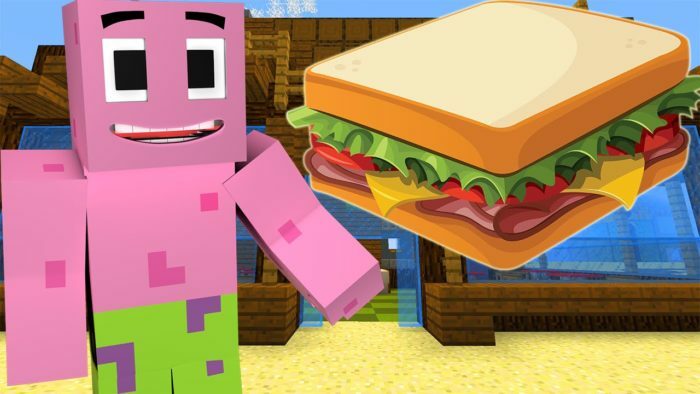 Then stick this mod in your gob, and make a sandwich out of any food item you have available to you in Minecraft. Obviously, this can sometimes lead to some really nasty creations that defy edibility, but the true visionaries are rarely understood until after their time. As long as you have a suitable bread item to hold it all in, you can put anything that qualifies as food in between those buns, without limitations. You could even put more bread in there as the filling if you have a particular longing for carbs.